Here is why all 3 of these channels of information are important and complementary. Consider 2 high school juniors playing at the same school, Player 1 and Player 2. There are things that both of them (and all juniors in high school) should be doing to stay on track for college baseball because they are juniors. This includes things like studying for and taking the SAT/ACT and registering with the NCAA Eligibility Center, among others. The time in the year (recruiting calendar) will also impact what information is relevant for the players. 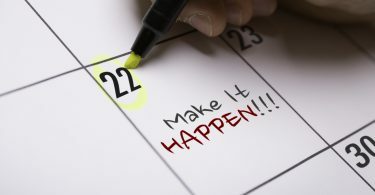 For example, if it’s the early fall and college coaches are hitting the recruiting trail hard players are likely focused on connecting with college coaches or preparing to do so. 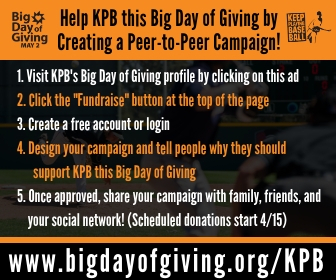 Player 1, for example, is focused on contacting schools of interest and making sure that the interested coaches he has been communicating with have have his game schedule and know what games he will be pitching so that they can come see him play. That is much different than what Player 1 is likely to be doing during the winter quiet period, when coaches can’t have off-campus contact. During this time, Player 1’s focus is getting ready for the spring season, adding strength and size with a quality strength and conditioning program, and studying for and taking the SAT. Player 2 similarly has different recruiting objectives during the fall and winter, but with one major difference. He is in a much earlier stage of recruitment than Player 1. As such, he will require much different information and advice to successfully move his recruitment forward. While he is also a junior and plays for the same high school team, he is a late bloomer and hasn’t yet gained any interest from college coaches (not uncommon for a junior). While Player 1 is communicating with college coaches during the fall, Player 2 is just deciding he wants to play college baseball and is still learning about the recruiting process. He’s not ready to be communicating with college coaches or seeking exposure and needs advice and information to help him figure out how he’ll know when the time is right to start reaching out and what he should do to prepare for those later discussions. As you can see, these players have some overlap in what they should be doing because they are juniors in high school and they both have similar themes they focus on during particular periods in the recruiting calendar (time of year). 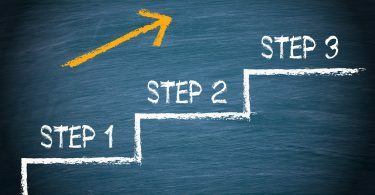 However, because they are nowhere close in their respective recruiting processes and timelines, they require different information about what they should be doing and what step comes next. That’s where Keep Playing Baseball’s multi-pronged approach to delivering information comes in handy. 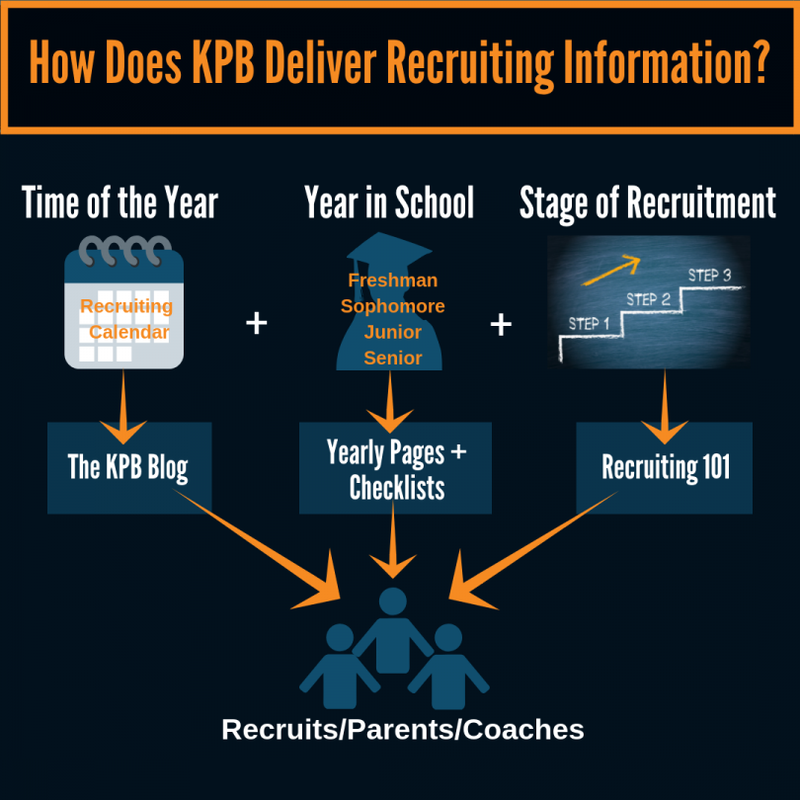 The yearly pages and checklists give the general guidance that both Player 1 and 2 need as juniors, the blog delivers time relevant information about what their focus should be during different periods of the year, and Recruiting 101 helps account for the different information each individual player needs according to exactly where they are in the recruiting process. As the graphic above demonstrates, all three of these complementary channels play an important role in helping you navigate the recruiting process. Using only 1 or 2 of these channels of information will certainly help, but to get the complete picture, we strongly recommend you use all 3. 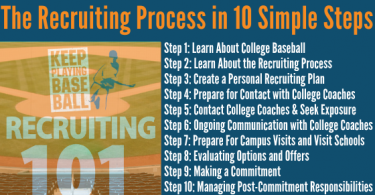 While Recruiting 101 is just one piece of this puzzle, we are excited to have it on our main website because it allows us to provide you with an individualized road map through the recruiting process from start to finish. Our ultimate goal is to provide you with all the information you need to navigate the recruiting process and provide that information in the most accessible and digestible way. As you get familiar with Recruiting 101, please don’t hesitate to reach out to us by email or DM with any questions that come up. Your feedback and questions are always valued and we will do our best to get back to you in a timely fashion.